For many millennials, staying in shape has become a way of life. Fitness enthusiasts can be seen running every morning or evening, and gyms and wellness centres have cropped up in every corner of the country. According to a 2017 Deliotte-CII report India Services Sector: A Multi-trillion Dollar Opportunity for Global Symbiotic Growth, India’s wellness market was estimated at approximately $13 billion in 2015 and is expected to grow at a compounded annual growth rate of nearly 12% for the next five years. It is good to be conscious about your health, but being fit can come at a steep cost. There are expensive gym memberships to pay, apart from the cost of organic and healthy food, nutritionists, fitness apparel and gadgets, supplements, and so on. If you are not careful about each head, all the expenses put together could take a major toll on your finances. 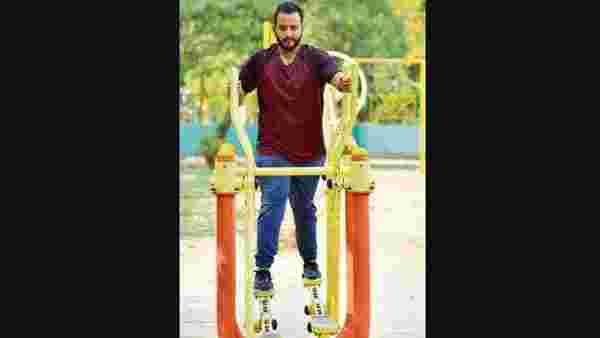 New Delhi-based Shivankar Sharma, 26, was shocked when he realised he was spending ₹22,000-24,000 a month on his fitness regime. This included spending on the gym membership, a healthy diet, apparel, supplements and vitamin tablets. “I did not realize this earlier as my spending is merged with the family’s budget and it did not occur to me to make a note of these expenses,” said Sharma, who is a sales specialist in Gurgaon. Though nearly 50% of his salary goes into monthly fitness spends, he makes it a point to save and invest the rest, thanks to his family’s support. On an average, people spend ₹55,000-1.65 lakh a year on their fitness regime, including gym membership, food and nutrition, fitness apparel and supplements, said Devi Prasad Biswal, co-founder and CEO, BookYourGym Fitness Pvt. Ltd, a fitness platform that lets users book fitness services nearby. Many consumers are also moving away from conventional machine-based workouts and enrolling for body weight workouts, mixed martial arts, yoga, dance-based workouts like Zumba, and so on. The more formats you go for, the more expensive your overall fitness regime can become, especially if you enrol for each of the activities separately. “Functional fitness, which are group exercises without the use of machines, has picked up. Some 20% of fitness users today go for functional fitness, a rise of 10% from five years ago,” said Biswal. Sharma, too, works out five-six days a week and does a mixture of cardio, dance and weight training. Staying physically fit is essential, especially due to the sedentary lifestyle people in urban areas typically lead. However, it is important to ensure that your physical fitness doesn’t come at the cost of your financial fitness. “It is a good idea to plan and budget your fitness expenses. Keep in mind your cash flow and other discretionary expenses. Consider if you can give up something to partially fund this new requirement,” said Lovaii Navlakhi, managing director and chief executive officer, International Money Matters Pvt. Ltd, a financial planning firm. While supplements or food plans may not be very expensive, be careful about big-ticket expenses like long-term gym subscription, equipment or gadgets. Analyse how essential these are for your fitness regime, and invest in them only if it makes sense. “Before you buy equipment or a fitness gadget, it is important to determine if this item is absolutely essential and if you will continue to use it for the long term. For example, if you have taken up cycling, continue for six months before buying a really expensive one. Further, in these six months, save for the big purchase instead of relying on your credit card. The waiting period will help ensure that you are buying something because you really need it and paying for it through your savings,” said Mrin Agarwal, founder director of Finsafe India Pvt. Ltd and co-founder of Womantra. But what about people who use such expenses as tools to discipline themselves? “For someone who is lazy, it may make sense to pay a higher amount for a shorter period just so that you can confirm that you can make getting up early and spending the required time in the gym a habit. Make small investments so that you do not regret making the wrong choices,” said Navlakhi. There are several ways to reduce your expenses on fitness. If you engage in multiple workout formats, go for fitness centres such as CureFit, Gold’s Gym and Anytime Fitness that offer several services under one roof. If you spend regularly on health food, look for online subscription plans to lower your expenses. “Spending on excessive accessories is an area that can be curtailed. Also, home-made food can be very economical if you have a limited budget,” said Biswal. “Sign up only for things that interest you. Sometimes, people get overenthusiastic and sign up for many things like classes, supplements, meals, etc. It is best to first try out a service for a few weeks before taking a long-term subscription. If you are not using a particular membership or service, then stop paying for it too,” said Agarwal. Focus on your health and fitness, but make sure you spend within your means, and take care of your other financial goals too.